Jon Bernson and Michael Falsetto-Mapp specialize in lo-fi electronic pop made from gritty beats, voice mail vocals and timeless melodies. The band released their debut EP ‘Ammunition Teeth’ in October of 2010, the same month that David Fincher’s blockbuster ‘The Social Network’ featured Exray’s song ‘Hesitation’ alongside an Academy Award winning score by Trent Reznor. 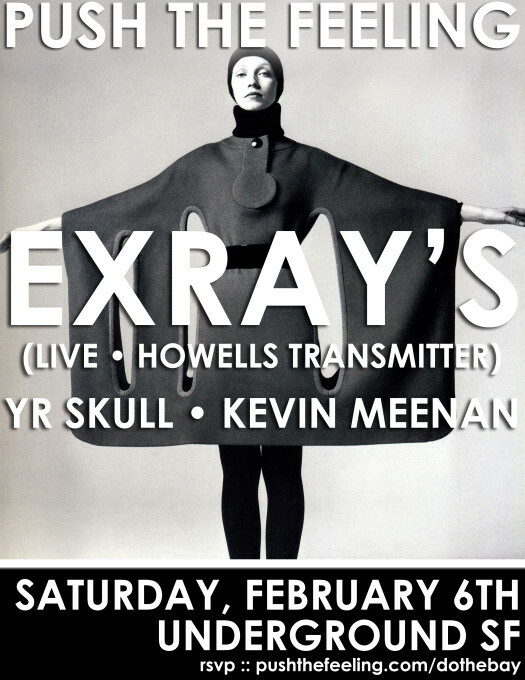 In February 2011 Exray’s released their first self-titled LP and a series of videos, which were premiered by Pitchfork, Altered Zones, Spin, MOKB and The Bay Bridged. Their music has been Forkasted by Pitchfork, praised by Prefix and reviewed by dozens of other blogs.